Inducted to Puerto Rico Rock and Roll Hall of Fame 2013. Reno Habif receiveed the honors. 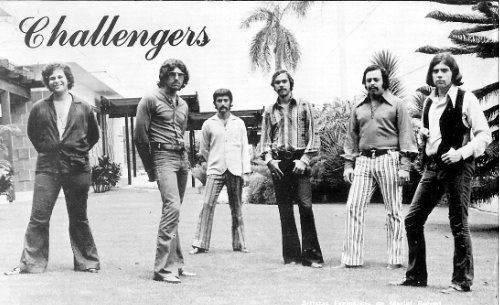 No other band in the history of Rock and Roll in Puerto Rico had the success The Challengers had in the 70's. 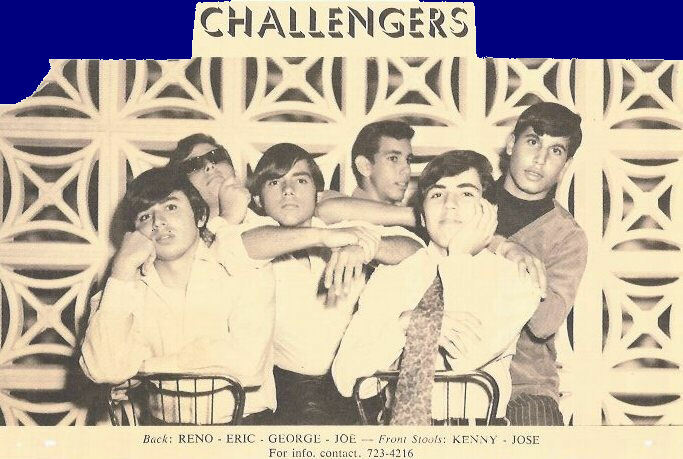 They had # 1 records played on all radio stations in Puerto Rico. 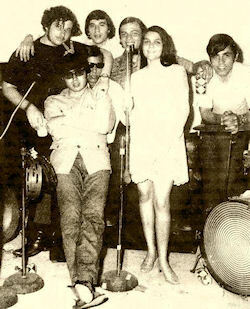 They were founded in the 1960's by magnificent musicians such as Eric, Kenny, El Mono, Jorge Casas, Paul Tirado and others. with various changes throughout the years. But the lineup that made it happen was when they recorded various original songs like Emily and Martha Does, and one cover song (It's For You) that took them to the top. 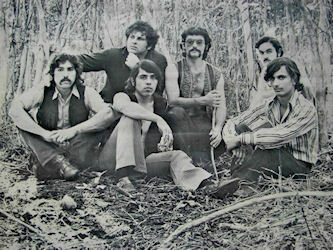 That lineup was Jose Luis Kerkadó (drums) (RIP), Wiso Velez (bass), Alexy Rodriguez (guitar, voice), Rafi Márquez (guitar, vocals), José (Tato) Guzmán (Hammond organ), Reno Habif (vocals). They recently reunited with a new lineup including Alberto Carrion, Reno Habif, Jorge Casas, and the help of recording musicians that played with Carlos Santana and Miami Sound Machine. This album is a must listen, see HERE. Outstanding arrangements of classic songs with a latin twist. See a clip at the bottom of this page. 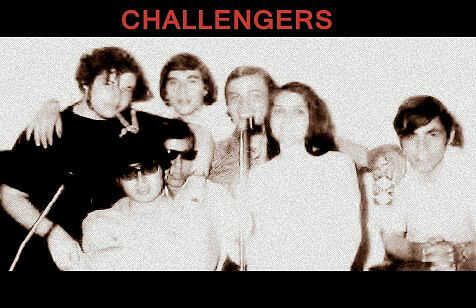 The Challengers is a band that although their musicianship is superb, their vocals is what takes them to the next level. The result is a combination of in your face excellence in music and vocals to leave you wanting for more. Once a Challenger always a Challenger! Listen to their songs below. "It's For You" was originally written by John Lennon and Paul McCartney for Cilla Black, for whom it was a Top Ten hit in 1964 in the U.K., but it was not heard of in the U.S. until much later. If "It's For You" sounds familiar, it's because Three Dog Night recorded it years later in 1969. 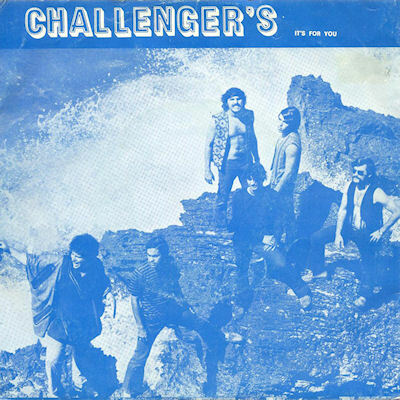 "It's For You" and "Emily" were very big hits and signature tunes for The Challengers, They always rocked the house! !